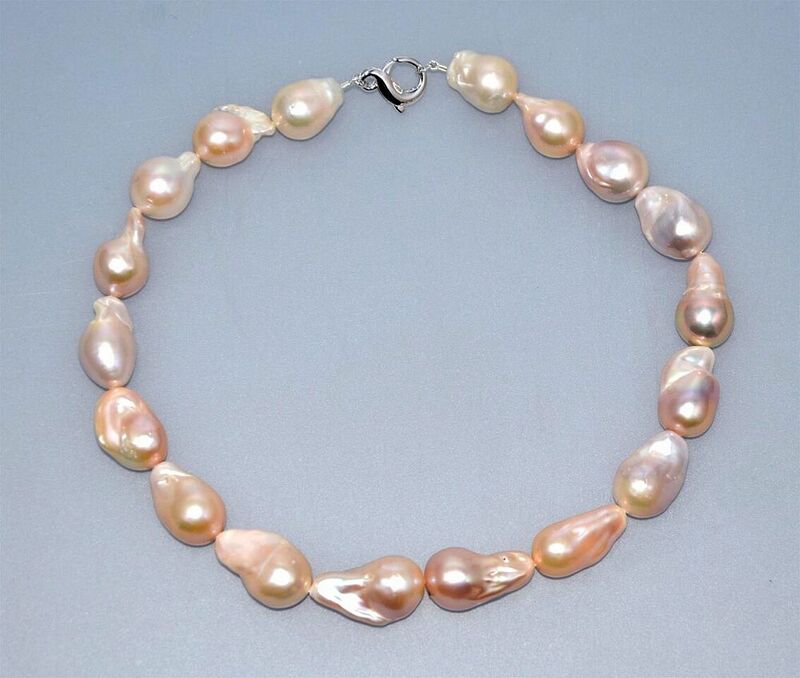 These gorgeous natural colour freshwater pearls are from China. 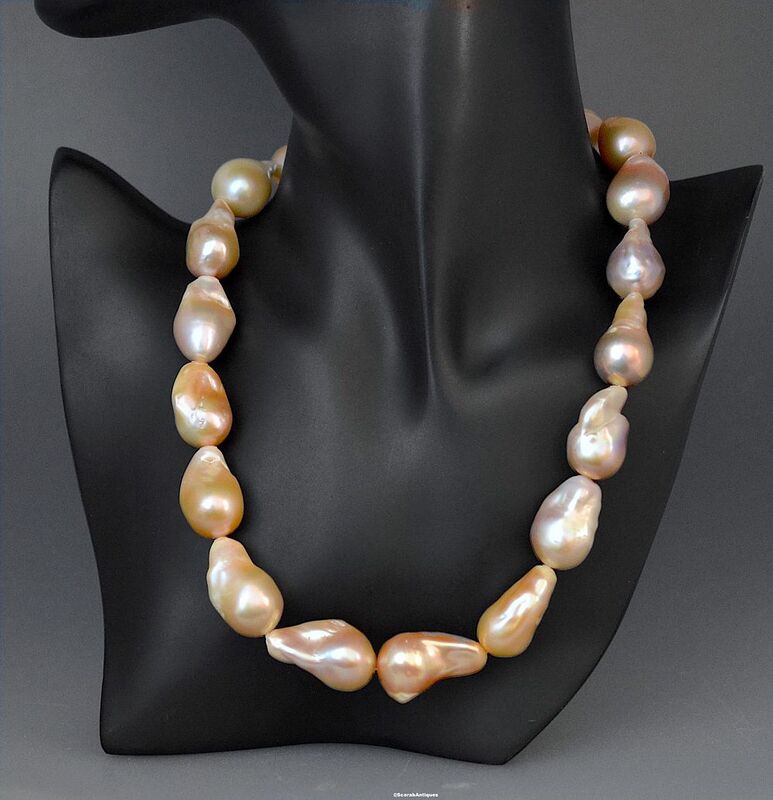 The string contains 18 good lustre oversize baroque pearls that are a peachy/bronze colour. The pearls are strung on chain with a large silver lobster claw clasp. A great everyday wear.